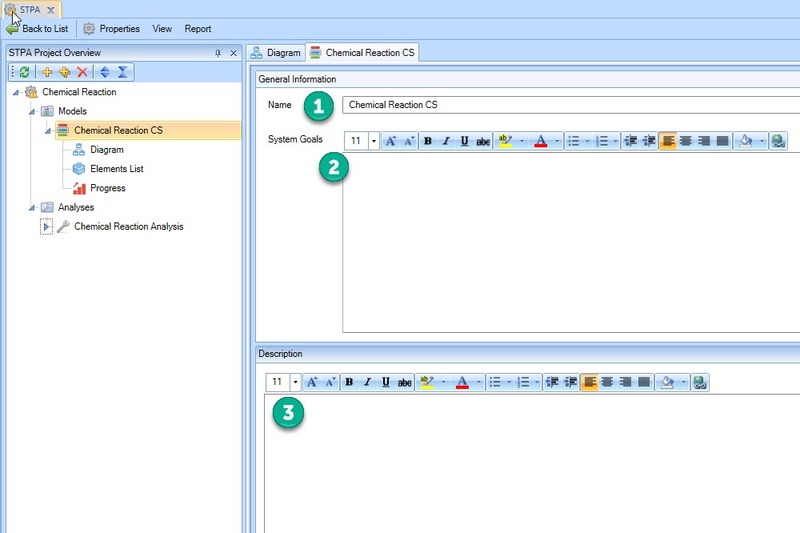 The STPA Module makes use of STPA projects as containers for the analysis. Multiple STPA projects can co-exist in parallel. However, they are completely separate and do not share any information. 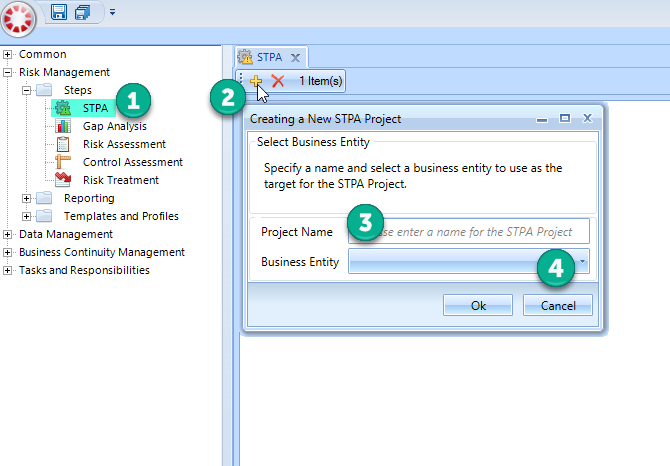 In the RM Studio Navigation tree under Risk Management – Steps, double click STPA to open the STPA project tab in the work space to the right. Click the to create a New STPA Project. In the popup enter a unique name for the new project. Then select the appropriate Business Entity from the drop down list and click button to save the new project to the database. Your new STPA project is now created as a tile. Each STPA project you create will appear in the tile list arranged from top to bottom, oldest to newest. The tiles can be rearranged according to user preference and when a tile is selected a yellow border and check mark appear around the tile. Click the Open button to begin working in the selected STPA project. 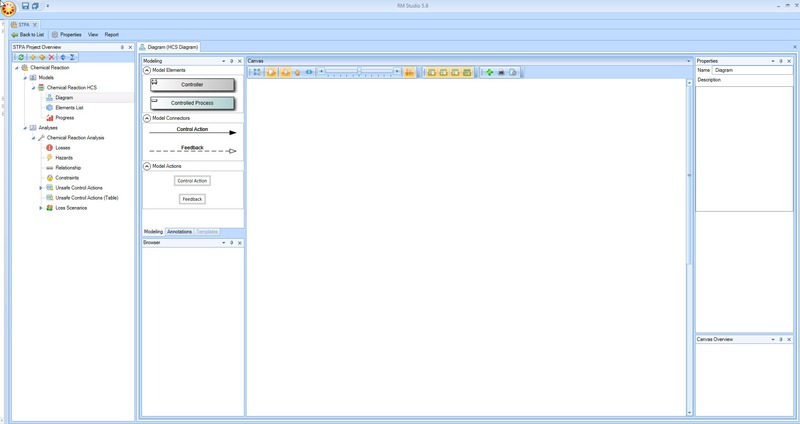 After opening your newly created project you will see the STPA Project Overview panel with navigation tree and toolbar. Around the central diagramming canvas there are several panes. These panes can be moved and rearranged to meet your unique needs, and easily set back to default when desired. The diagram panes include (in a clock-wise manner): Modeling Elements, Canvas with toolbar, Properties and Description, Canvas Overview (zoom in and out), and the Browser. *If you prefer to begin your STPA project with identifying Losses, then you will need to double click in the tree. The Losses tab will open and you click the to begin entering in losses for the analysis.